I don’t know about you, but any party that sends me home with a bottle of champagne is a great party in my eyes! 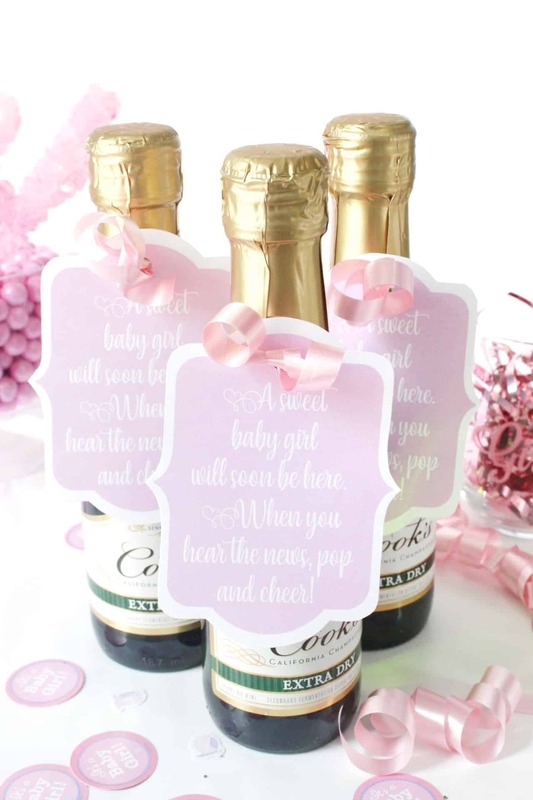 These champagne favor tags could be used on a mini or full bottle of Champagne. They are available in our traditional pink and light blue as well as rose, mint, and sunshine orange. 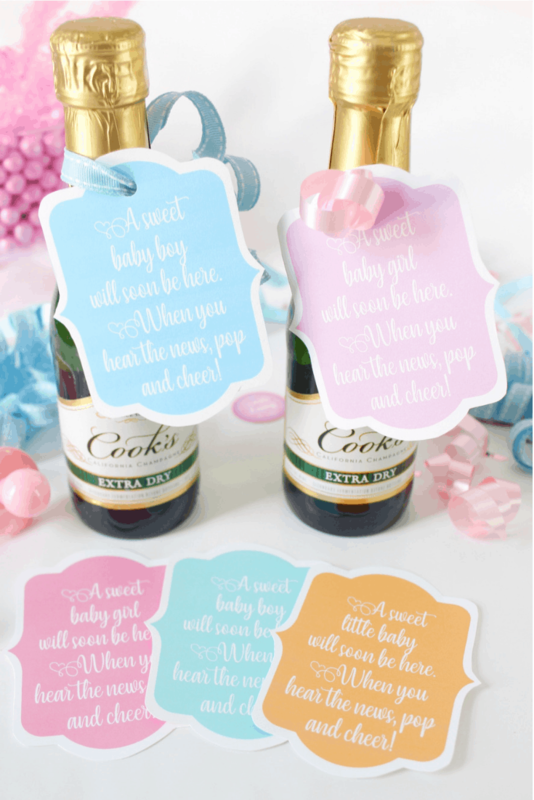 These tags print 4 per sheet, and as with all of our other baby shower printables, I suggest printing on at least 65 lbs card stock. 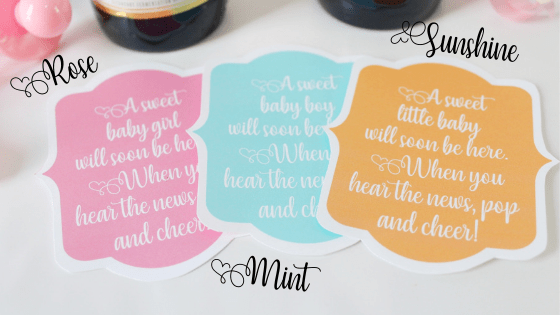 If you would like to request these in a custom color or custom text, please email me. 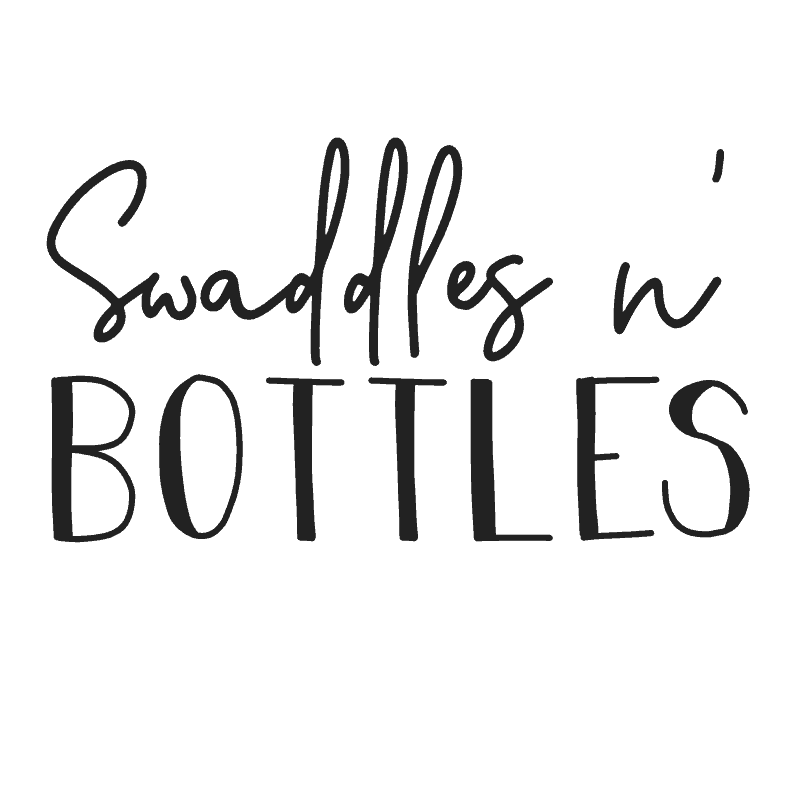 Caroline (at) swaddlesnbottles.com. Custom tags are $10. Start by selecting you color option below. Once selected, you will be taken to the start of the payment process. Our printable distribution is powered by SendOwl, a secure network powered by PayPal. Enter your name and email address on the first screen and select either PayPal or Stripe as your payment method. 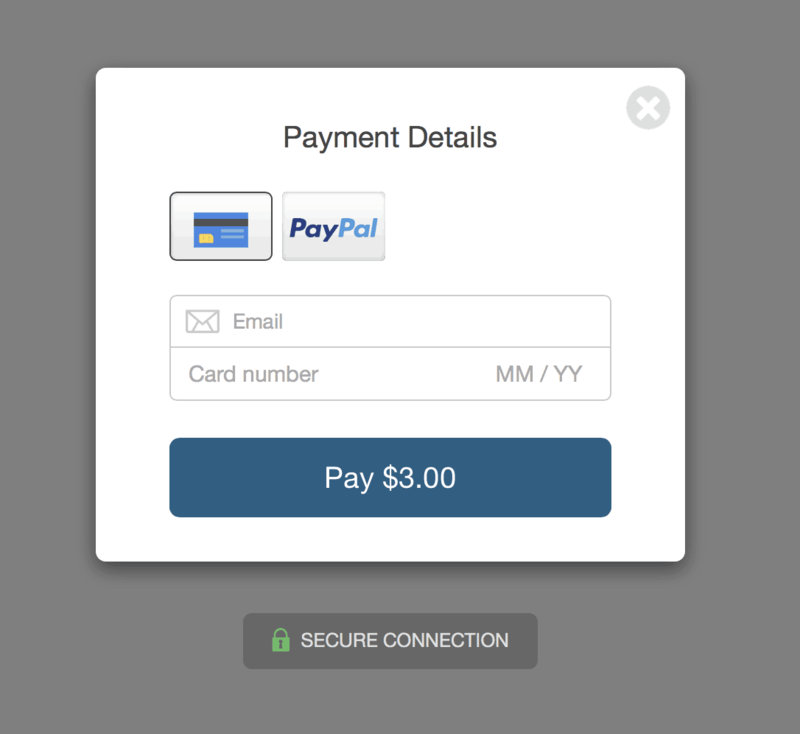 If you select Stripe, you will be able to enter your card information right away and complete payment (shown above). If you select PayPal, you will be re-routed to PayPal to complete payment there. Once payment is complete, you will instantly be able to download. You will also receive a copy of your tags to the email address you provide so you can re-download and print at your convenience.